You’re a singer – So SING!!! That’s what the Modern Singing Method is all about. You were born with your own unique voice. No other voice of the more than 7 billion people in this world sounds exactly like yours. And we don’t try to change it – we just make it sound great with a method that works – every time. So many of my students are relieved to hear that THEIR singing voice can be perfected through learning and practicing the Modern Singing Method. 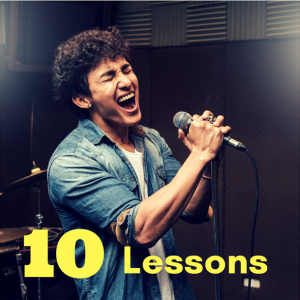 There are lots of misconceptions and untruths out there and I HATE it when people come to me and tell me how much time, money, and effort they’ve wasted on voice lessons and practice routines that don’t work. I developed the Modern Singing Method through my experiences as a professional singer and knowing what works and what doesn’t. I’ll share some of the keys of the Modern Singing Method with you here but if you’re serious about your singing voice, whether you want to be a professional singer, become great at karaoke, or just sing great in the shower or while driving – please book a free 10 minute consultation with me. You owe it to yourself to stop wasting time with videos, books, and CD’s that are of little use. If you’ve been practicing for a while and you don’t hear much difference – There’s a reason for that! Breath Support – Nobody will argue that breathing is important. It’s so important that without it, we wouldn’t be alive! But with singing, its importance is somewhat overrated. No matter what you’re doing, working out, sleeping, or singing – your body will give you as much air as it can when needed. For your singing voice to work (sound) well, you need to learn how to control your breath. We spend lots of time on controlling your breathing as you sing. 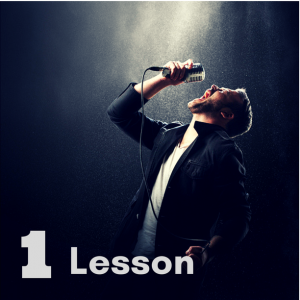 Vocal Release – One of the most important things to get right in order to have a natural singing voice is vocal release. When you work with me, I’ll be able to tell very quickly if you’ve mastered this technique and if not, we’ll get you practicing and you’ll notice a remarkable difference in your singing voice. It’s all about the air. We need to make sure the correct amount of air is coming to your vocal chords BEFORE you make a sound. There is an easy way to learn this technique and you’ll learn that in your very first live lesson with me. 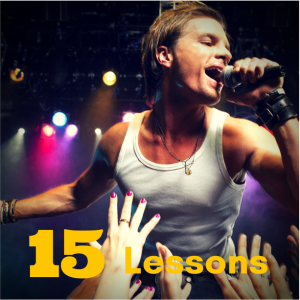 Vocal Registers – This is an area that is frustrating to many voice students – until they begin taking lessons with me! People hear and learn about “head voice” and “chest voice” and they concentrate too much on getting sound resonating in those areas instead of singing naturally. 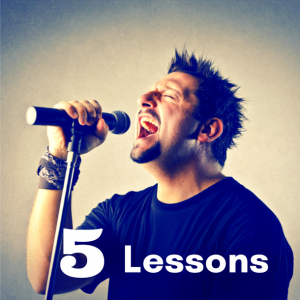 Your voice is ONE instrument and it shouldn’t really change as you sing in higher keys. Too many people tense up and struggle to hit the higher notes which tightens your throat muscles. That’s the worst thing that can happen and makes it even more difficult to hit them. With the Modern Singing Method training, we’ll train your mind to get your voice to transition from low notes to your highest range – with ease and without your throat muscles getting tense. Speaking Voice – Your speaking voice is your baseline, your reference point for learning how to sing brilliantly and with ease. Many guys would like to sing like Adam Levine, a natural tenor with outstanding high range. Many women marvel at and would like to have the range of Mariah Carrey. As great a singer as Frank Sinatra was, there would have been NO WAY for him to hit the same high notes as Michael Jackson, Bruno Mars, or most any other tenor. He was a baritone with a deep, rich, and exquisite voice. That’s not to say that any of us can’t improve our range, we just have to know and sing within our limitations and that’s why using your speaking voice is important. Vocal Cord Muscle Training – It’s easy to forget that our vocal cords are muscles. Just like in body building, we need to properly work and train these muscles. Also like in body building, it’s easy to strain these muscles. There is more bad information floating around on how to train your vocal cords than you can imagine. The Modern Singing Method has a tried and tested method for training your vocal cords – the right way! This is another important reason that you should take just 10 minutes and talk with me. I can not only teach you the right and best way – I can possibly help STOP you from doing harm to your powerful, yet sensitive vocal cords. Want a little more in-depth information on the Modern Singing Method? Get it here. Vocal Compression – In order to become a polished, powerful singer, we need to be able to control the amount of air (as air pressure) that we use at different parts of our singing. The tool that does that for you? That’s right – the vocal cords. Your vocal cords when trained properly, can control when you release air (pressure) and how much is released. The short “bursts” of air that carry the tone of your voice is what heavy singing is about. Pharyngeal Voice – That tricky part between the “chest voice” and “head voice” that gives singers difficulty when connecting these registers is called the “pharyngeal voice”. But boy, if you can harness and control it, you’ll not only be able to flow from “chest voice” to “head voice” smoothly; you’ll also be able to use it to make some really cool vocal effects. Axl Rose, the lead singer for Guns N’ Roses, has a masterful pharyngeal voice. Once you’ve trained and improved your voice through the Modern Singing Method, we work on your pharyngeal voice – and you’re going to love it. My students tell me that training and using this “secret” part of their voice is one of the things they enjoy most with my program. *Caution* – The pharyngeal voice can be an amazing vocal effect for you but you do need to make sure you work with a coach who knows all about it and knows the correct way to train to use it or you can easily strain and harm your voice. That’s another reason that you should speak with me since I’ve trained lots of students how to properly and effectively use their pharyngeal voice. Targeted Style Training – This is it! This is what makes the Modern Singing Method the best voice lesson program there is. We work together and SING! That’s right – You will sing entire songs in the style of your choice! You’ll still have to put the work in to get your voice ready but think of how great you’ll feel when you belt out your favorite songs in perfect pitch. That’s what you’ll get with the Modern Singing Method. You’ll be the envy of friends and family and if you’re serious about becoming REALLY great, we’ll keep working as you build the incredible voice that’s inside of you. It all starts with you taking the easy first step of speaking with me for 10 minutes for FREE. You can determine if the Modern Singing Method is right for you and if you decide to go for it, you’ll be on the way to getting a polished singing voice. OK, George! I’d like a free 10 minute consult to discuss how you can help get me singing like a pro!